Image credit: American Homebrewers Association. 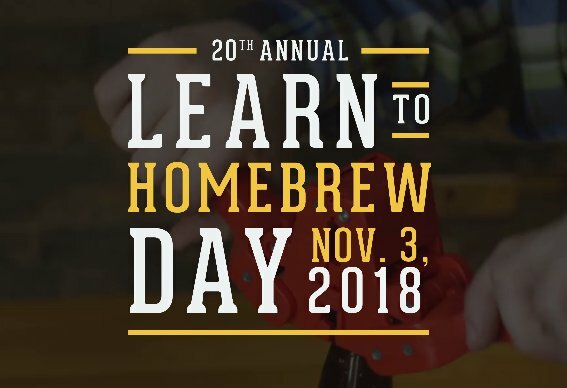 This Saturday, November 3, the American Homebrewers Association (AHA) hosts the 20th Annual Learn to Homebrew Day. It's a day for homebrewers to encourage non-brewing friends and family to learn how to make beer at home. "This year, we celebrate 40 years of the AHA, and 20 years of Learn to Homebrew Day," says Gary Glass, director of the American Homebrewers Association. "In 1999, Learn to Homebrew Day was established to promote the most rewarding and delicious activity of all time - homebrewing. And there's never been a better time to give it a try. Each year, it's gratifying to see so many beginners, hobbyists and professionals coming together. What's also gratifying? Tasting your very own brew." Over 300 local celebrations are expected to occur this year, with events happening both in the U.S. and abroad. As for gatherings in the Metroplex, at least two events are being put on in honor of the occasion. Cowtown Brewing Co., Fort Worth - Learn to Homebrew Day with Texas Brewing Inc.: 12 -6 p.m.
Woodcreek Brewing Co., Rockwall - Learn to Homebrew Event with Rockwall Brewers Association: 12-4 p.m.
Additional resources for prospective homebrewers can be found on the AHA's website, HomebrewersAssociation.org, as well as in publications like Zymurgy and the book How to Brew by John Palmer. The AHA also offers a free mobile app, Brew Guru®, which delivers money-saving deals on beer, food and homebrewing supplies, while also providing access to a variety of homebrew recipes. Labels: American Homebrewers Association, Cowtown Brewing Co., Learn to Homebrew Day, press release, Woodcreek Brewing Co.